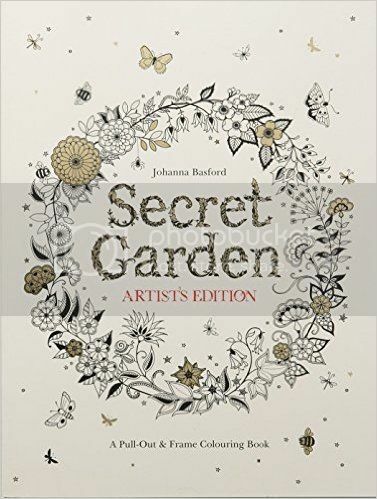 Secret Garden: Artist's Edition by Johanna Basford (review copy) - Following the chart topping success of Johanna Basford's Secret Garden and Enchanted Forest, Laurence King Publishing release Secret Garden: Artist's Edition. A special edition of the world's most popular colouring book, it features 20 beautiful, pull-out and frame posters, each carefully printed onto high-quality card. 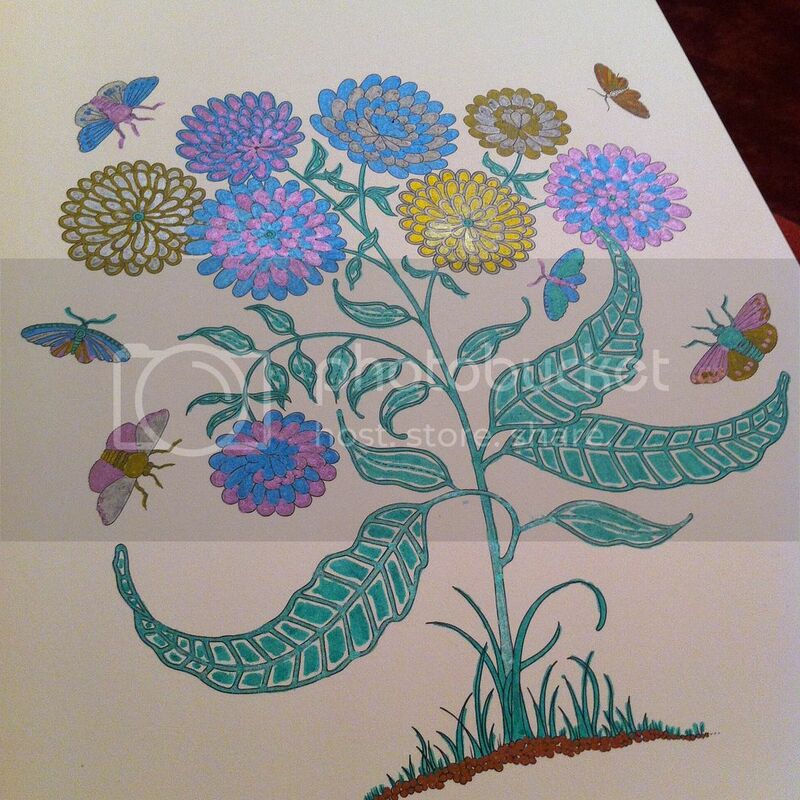 Secret Garden: Artist's Edition will allow colouring fans of all ages to display their intricate creations beyond the pages of their colouring book for the first time. From the press release. 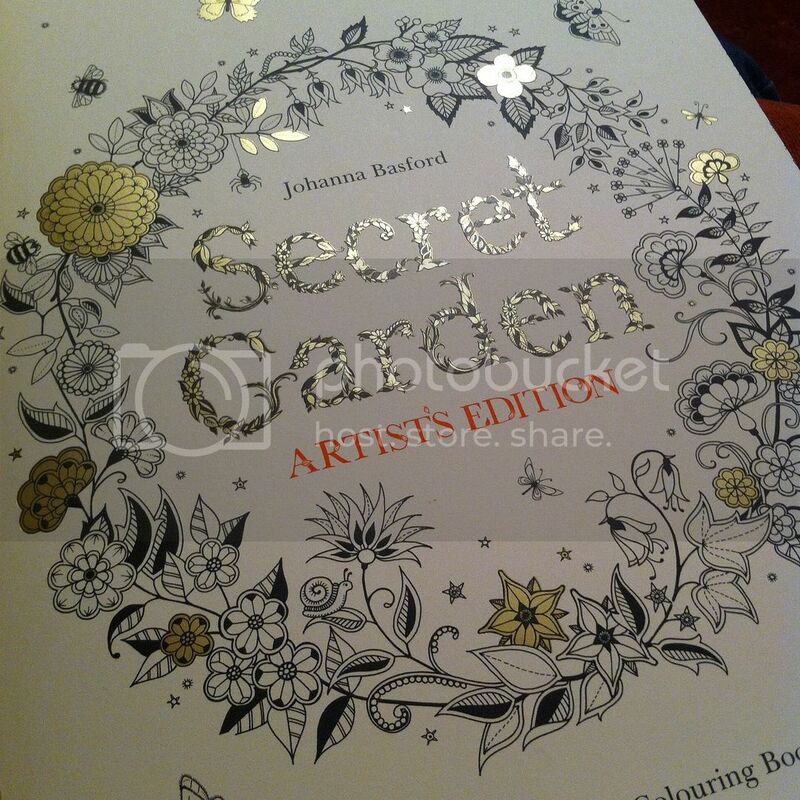 When I was offered the chance to review Secret Garden: Artist's Edition by Johanna Basford, I jumped at the chance. I had just bought myself Enchanted Forest as I couldn't resist the beautiful illustrations, so being able to own this edition of Secret Garden too was just awesome. What's great about this edition of Secret Garden is that it allows you to pull the pages out after you're done to frame on put on your wall. With the Basford's illustrations as gorgeous as they are, it's not hard to see why someone would want them on their wall after adding some colour. 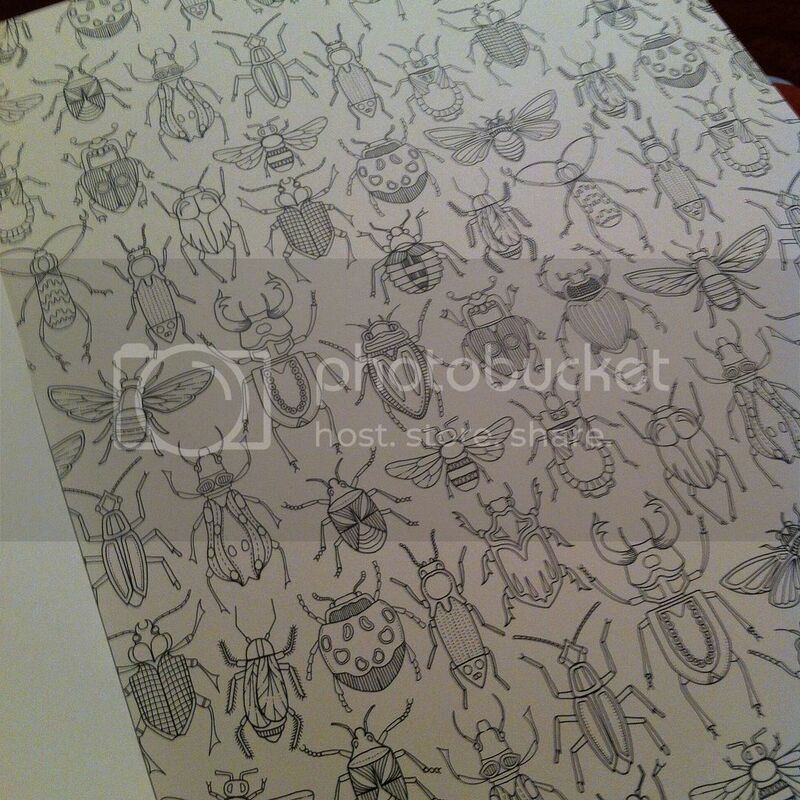 The Artist's Edition has 20 of the illustrations in the original colouring book, which have been blown up onto really good quality card. 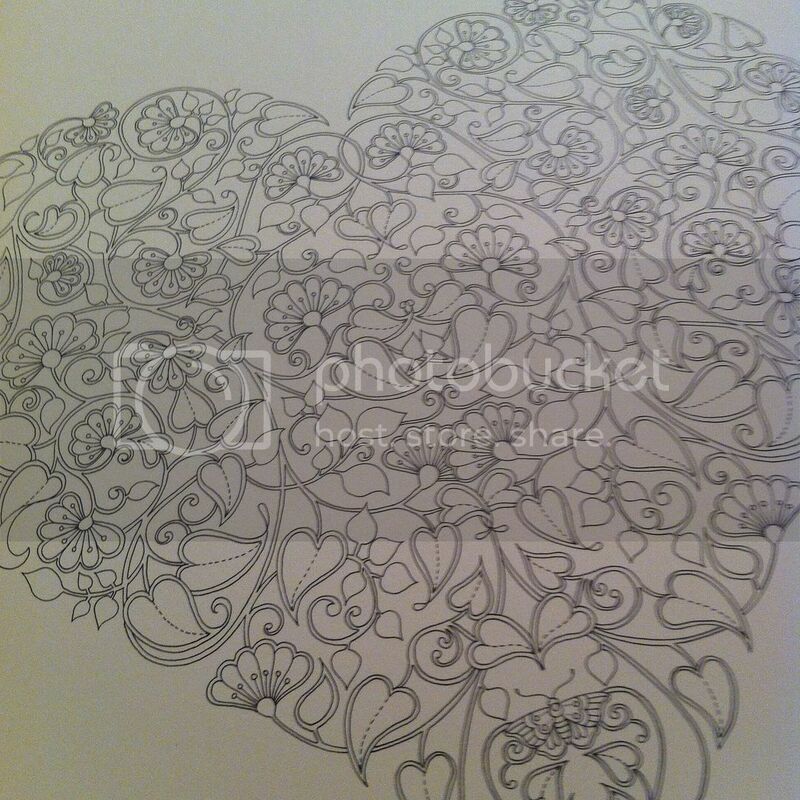 Apart from a small flower in the centre of the other side, all illustrations are one-sided. Because of the illustrations, both in this and Enchanted Forest, I was a little weary of colouring them, in case I "ruined" the beauty that was already there, and with the quality of the card being what it is, I felt this even more. I gave it a go anyway. Inspired by the metallic gold on the cover, I decided to try colouring with my metallic pens. One great thing about the quality of the card is that it's thick enough that ink doesn't bleed through. However, my problem was I underestimated the size of the nibs on some of my pens; for some of the smaller sections, they were far too big to colour in between the lines neatly. I had already started, though, and so decided to continue, but as I'd already bodged it a little bit, it took the pressure off being too precise and neat. 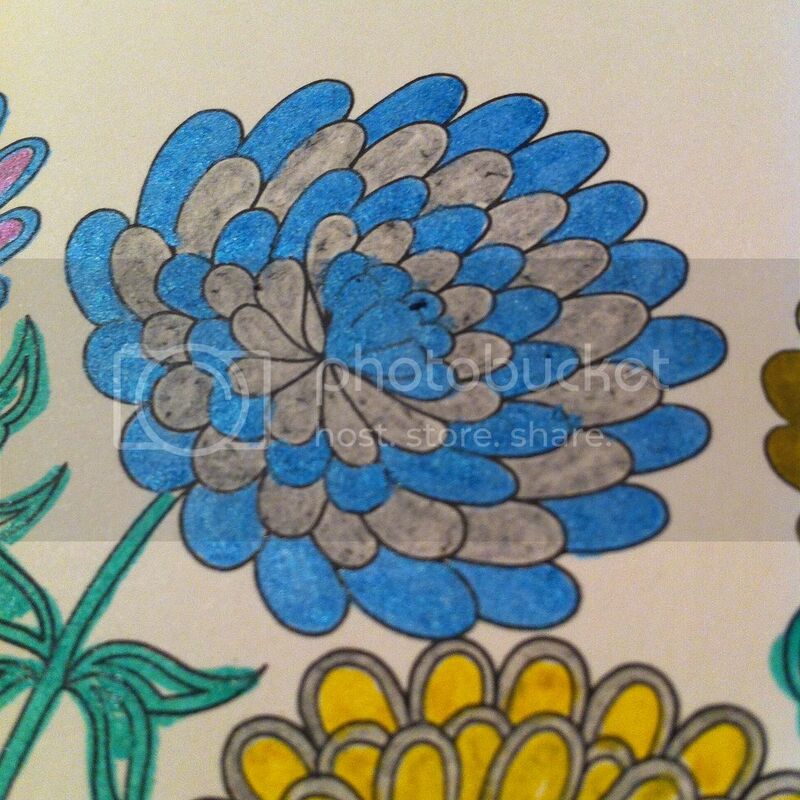 I know I'm just an amateur at colouring, but I think the result isn't too bad, despite it not being perfect. However, there is a problem with how the card reacts when it gets wet; if the ink from the pens is thick, or if you're required to colour in a certain area several times - which I was, due to fading pens (which annoyed me, they were brand new) - the ink can wear at the card, and fibres start to disintegrate from the page, leaving a rough and bitty finish when you're done (see below), which I wasn't pleased about. So you might want to think about steering clear of felt tips. 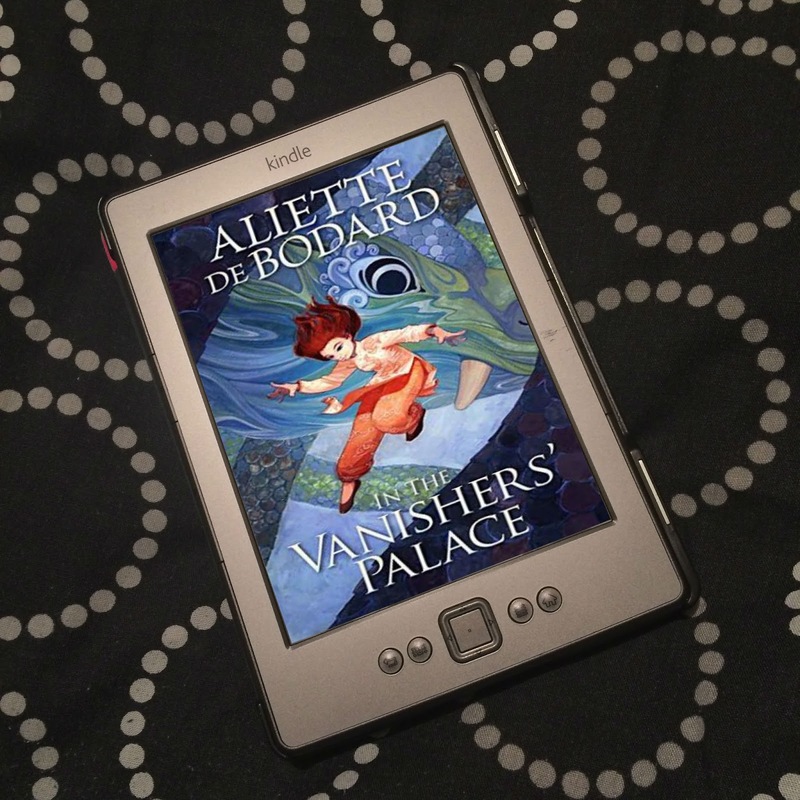 Overall, beautiful illustrations and a fantastic idea. Some of them I would even consider hanging up without even adding colour, so it's a wonderful product. Just think carefully about which media you use. 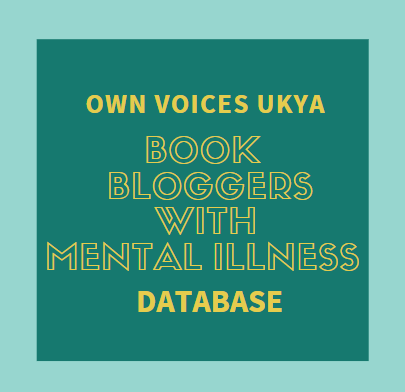 Thank you to Laurence King Publishing via Midas PR for the review copy. Oh I just love your work here!!! I got this book almost a month ago and can't believe how much fun it is. I love all of these illustrations, and I can't wait to get books 2 and 3. I am curious how colored pencils would work in the Artists edition compared to the regular book. AHH IT'S SO BEAUTIFUL. Do the pages have illustrations on both sides? 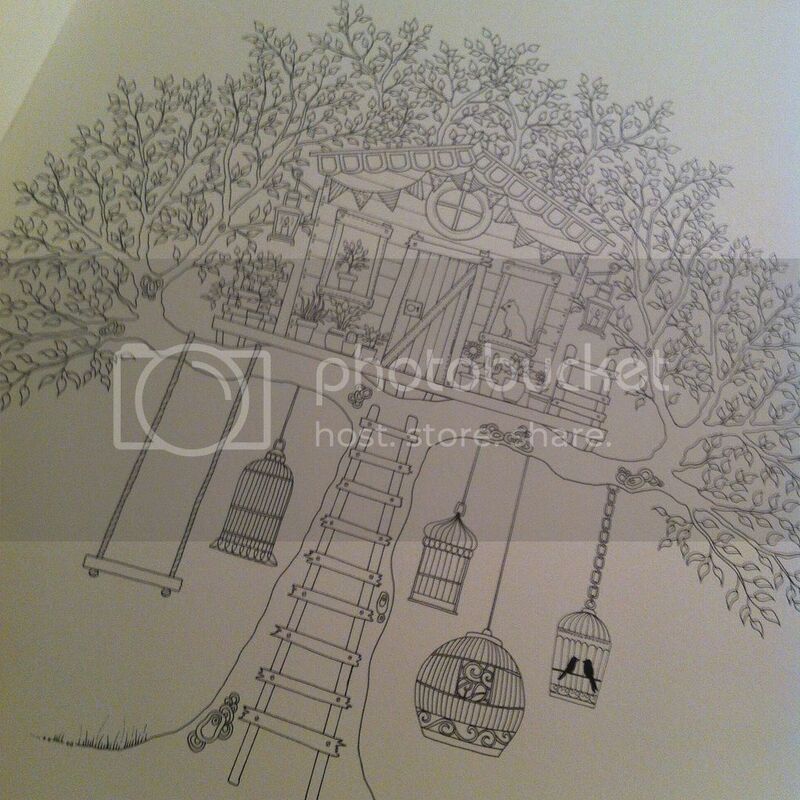 I have the Enchanted Forest one and while I love it I'm very frustrated that there are drawings on both sides. -_- My pens bleed through so I had to buy these uber small nibbed pens and it's frustrating to take so long to colour a single leaf. If oooonly they'd been one-sided pictures. STILL. THE ILLUSTRATIONS ARE SO SO BEAUTIFUL. No, they don't! The last line of my second paragraph: "Apart from a small flower in the centre of the other side, all illustrations are one-sided." So this edition is so that you can frame/hang each and every illustration. 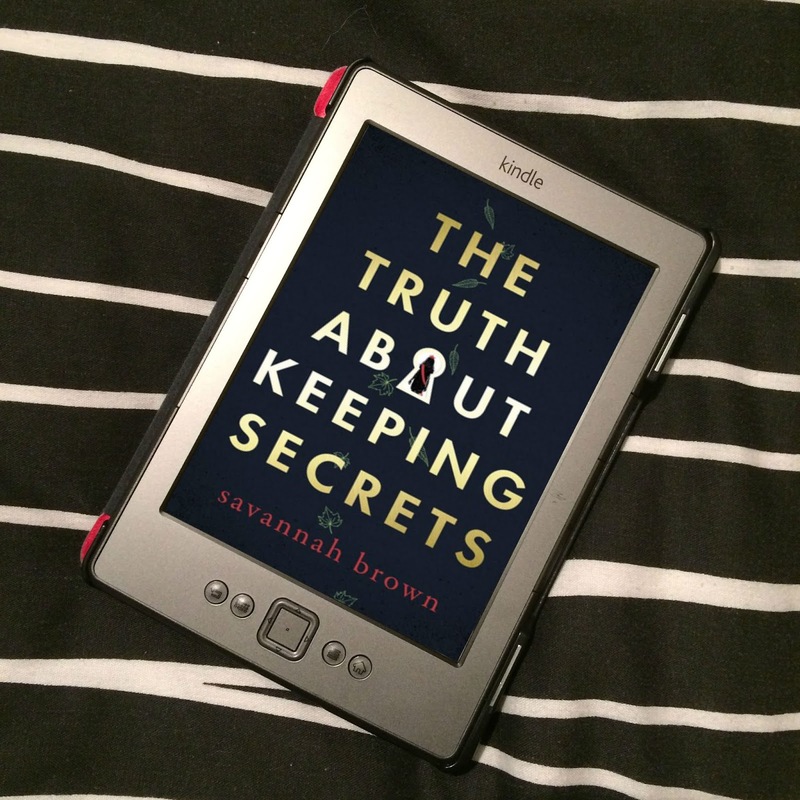 You won't be hiding one because it's on the reverse, and you won't be bleeding through! Even if there were illustrations on both sides, the card is thick enough that there's no bleeding anyway. BUT YES! Sooooo beautiful! I love them!